Today we're going to discuss the three most important rules when it comes to applying mulch in your landscape bedding areas. When applied correctly, mulch is very beneficial to the landscape, maintaining a consistent soil temperature, suppressing weeds, as well as maintaining soil moisture. However, when applied incorrectly, mulch can be one of your landscape's worst enemies. When mulching around trees and shrubs it's important that the mulch not come in contact with the base of the tree or the crown of the plant material. 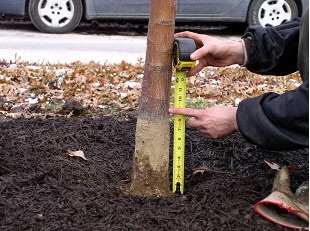 When mulch is in direct contact with plant material or the bark of a tree it creates the perfect conditions for wood rot, pest harborage, as well as girdling, a condition where roots grow upwards into the mulch eventually wrapping around themselves and suffocating the tree. An example of root girdling. If three inches of mulch is good, six inches is even better, right? Wrong. At any time the maximum depth of mulch in your planting beds should be three inches. Mulch that is applied too deep can have negative effects on your landscape. 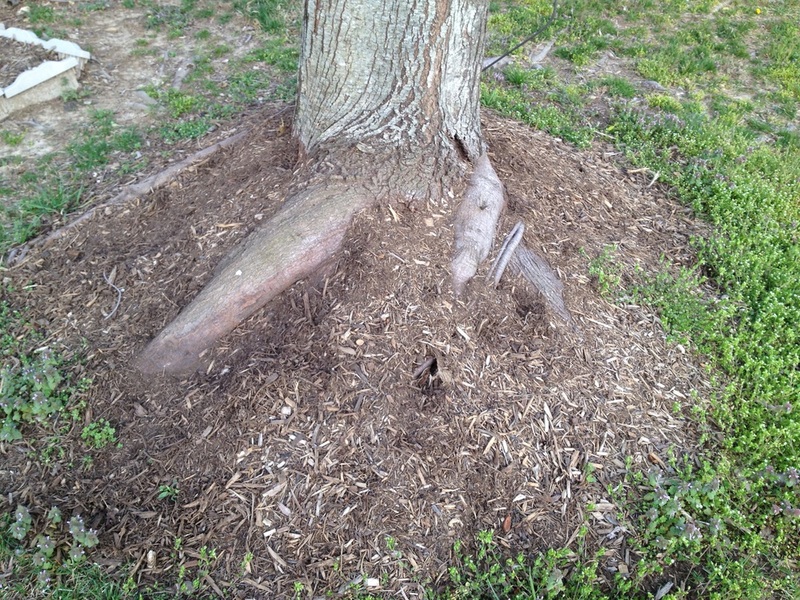 Excessive mulch can trap water in the root zone of plant material causing root rot. Over time, if mulch is applied too deep, it can compress, creating a barrier that doesn't allow water and nutrients to penetrate the soil, decreasing the health of the soil. Some mulches, especially those containing cut grass, can affect soil pH. Continued use of certain mulches over long periods can lead to micronutrient deficiencies or toxicities. Excessive mulching is not a good thing. It's always a good idea to apply any pre-emergent herbicide prior to mulching. As this will prevent the roots of weeds from making soil contact, and since we're only applying three inches of mulch weeds will not thrive in such an environment. It's also a perfect time for scarifying the soil or old mulch to allow water and nutrients to permeate the root zone. Scarification will also break up any matted bits of mulch and large clods of soil. 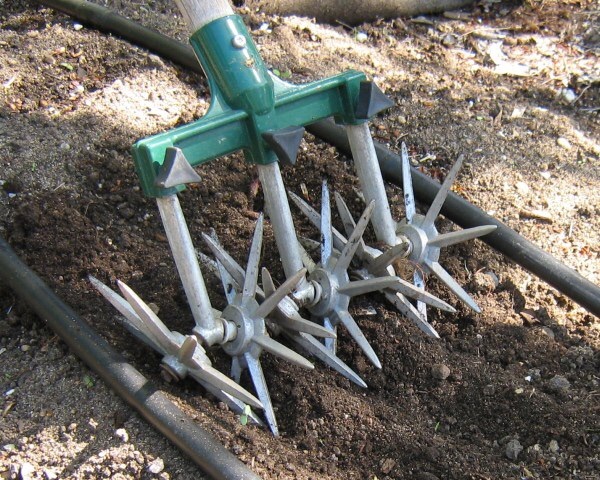 Simple tools like a garden weasel or bow rake make scarification of soils and mulch an easy task. Now that you're armed with the the golden rules of mulching get out there, enjoy the great spring weather, and mulch with confidence.